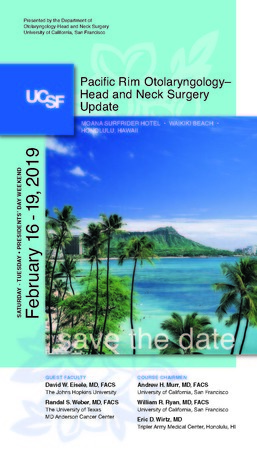 This course is intended for practicing otolaryngologist-head and neck surgeons, facial plastic surgeons, oral/maxillofacial surgeons, dermatologic surgeons, advanced health professionals, and nurses. the faculty is planned. Attendees are encouraged to bring their own cases for discussion.